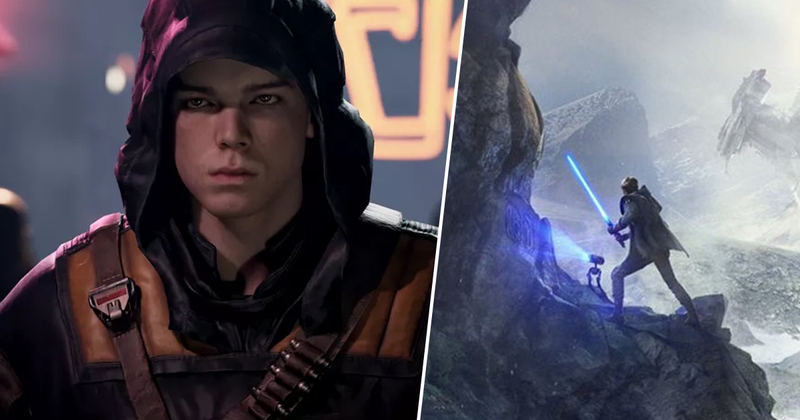 With the first trailer for Star Wars Jedi: Fallen Order now in the wild for everyone to pore over, plenty of details have now been confirmed by Respawn regarding what we can expect from this single player adventure. One new detail that might surprise you is that apparently, Jedi: Fallen Order won’t have any stealth elements of any kind. Both the trailer – which sees our hero attempting to evade detection from the Empire – and the marketing tagline of “don’t stand out” suggested we’d be sneaking around at least a little bit, but this isn’t the case. Jedi: Fallen Order director Stig Asmussen recently sat down with IGN and explained that the game will focus on fast-paced lightsaber and Force power combat, leaving no room for stealth of any kind. You could potentially, if you wanted, sneak around and not get the AI’s attention. I guess that’s technically possible. It’s not something we’re openly encouraging. We want the player to have fun and the power fantasy of having a lightsaber and Force powers and stealth doesn’t really fit into that or this game. Plenty of AAA titles these days tend to force in stealth elements when they’re not really needed, so if Respawn really doesn’t think this kind of gameplay has a place in Jedi: Fallen Order, then I’d be inclined to trust the studio’s vision. The incredible team Respawn has assembled seems to know their stuff, after all. You have to wonder why the marketing before the main reveal went so hard on the “don’t stand out” elements if stealth was never a factor, but I’d rather hack a Stormtrooper apart with a lightsaber than run away from one any day of the week.